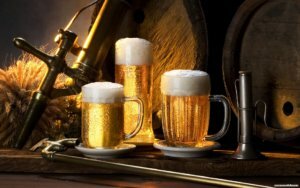 The world’s largest brewing group, Anheuser-Busch InBev (AB InBev) and leading Turkish brewer Anadolu Efes have completed the 50-50 merger of their businesses in Russia and Ukraine, AB InBev said in a press release. The board of directors of the merged AB InBev Efes will consist of an equal number of representatives from both companies. The chairman of the will be Tuncay Ozilhan, chairman of Anadolu Group and Anadolu Efes. The management team will work under the leadership of Dmitry Shpakov, president of AB InBev in Russia and Ukraine, who will become president of AB InBev Efes. Roy Cornish, the head of Moscow Efes Brewery, will become chief financial officer. The merged company will have a production network of 11 breweries and three malthouses in Russia, as well as three breweries in Ukraine. The AB InBev Efes brand portfolio will include both international and local brands: Spaten, Corona Extra, BUD, Velkopopovicky Kozel, Miller Genuine Draft, Hoegaarden, Stary Melnik iz Bochonka, Klinskoye and Bely Medved. The companies are confident that the combination of their businesses and expertise, diversified brand portfolio and the wide selection of beer that they offer consumers will enable the merged company to ensure growth and take leading positions on the Russian and Ukrainian markets, Shpakov was cited as saying in the press release. The results of the merged company will be consolidated in the financial statement of Anadolu Efes. AB InBev will not include the results in its global reporting, but will take into account earned profit as a return on investment in the joint venture in line with the size of its equity interest. Ukrainian President Petro Poroshenko has signed a bill deregulating the license issue in the oil and gas production sphere. According to a posting on the website of the Verkhovna Rada, the signed document was returned to the parliament on March 29. The law permits the use of the servitude tool for the construction of oil and gas production facilities and pipelines (without changing the purpose of land use). In addition, the need to obtain a patented mining claim is eliminated. 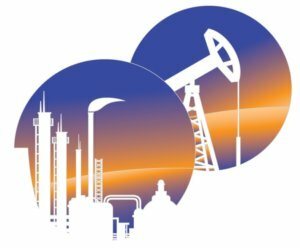 Oil and gas production facilities are removed from the list of facilities of town-planning activity. The obligatory introduction of deposits to research, industrial and commercial development is canceled by the decision of the Ministry of Energy and Coal Industry. The document gives the right to oil and gas producers after the completion of the period of research and industrial development of deposits to use land parcels on the basis of an agreement with the owner of the land parcels until the purpose of land use is changed and documents for the right to use land are registered (now companies are obliged to stop production for the period of processing documents). The removal and transfer of soil for further drilling can be carried out without special permission on the basis of a detailed land management project. The law grants deposit users the right to use their geological information without agreeing them with authorities. In addition, it is proposed to expand the range of entities that can conduct a geological and economic assessment of oil and gas reserves (now this right is owned exclusively by the State Commission of Ukraine for Mineral Reserves). As reported, the Verkhovna Rada adopted on March 1 at the second reading and in general bill No. 3096-d, which deregulates the license issue in the oil and gas production sphere. NGO “Odesa Natives Together” invites foreign ambassadors, in particular those from the G7 countries, to Odesa in the hope of attracting more foreign tourists to the city in future. “We plan that foreign tourists, whom, unfortunately, there are not so many in Odesa, [will come] … I would like people from Europe, Canada, the United States to come here,” Head of NGO “Odesa Natives Together” Illia Luponosov said at a press conference at Interfax-Ukraine. “A good and fast way to help the city is to attract tourists, show our city, invite people,” he added. According to the head of the organization, activists, actors, the “living statues” of Potemkin and Duke de Richelieu with theatrical performances on March 30 visit the embassies of foreign countries in Kyiv and invite ambassadors to visit Odesa. Luponosov noted that representatives of the public organization also state “they guarantee security and good rest” in the city. He added that invitations will be given in the diplomatic missions of the G7 countries (Canada, France, Germany, Italy, Japan, the United Kingdom, and the United States), as well as Bulgaria and Belgium. OKKO Group in coming months will start supplying electricity to Ukrainian consumers, the company’s press service has reported. OKKO Contract received the respective license on March 23. 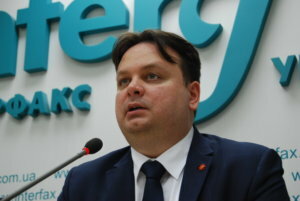 “We continue developing towards an integrated energy service company, in which clients will be able to acquire all the required energy from one source – petroleum products, natural gas and electricity,”, Head of the sales department for new OKKO products Volodymyr Ostaschuk said. The holding said that, in addition to electricity supplies, they are also going to be engaged in its electricity generation from renewable sources. “By the end of 2018, solar panels and generating equipment with a total capacity of 200 kW will be installed on the roof and facade of the central office of the holding in Lviv,” OKKO said. Galnaftogaz Concern manages one of the largest fuel station networks in Ukraine. It includes about 440 fuel filling stations, the majority under the OKKO brand. The majority shareholder of the company is Vitaliy Antonov, among the minority shareholders is the European Bank for Reconstruction and Development. 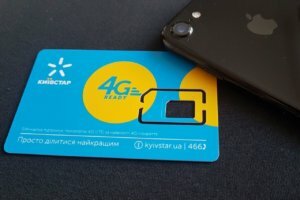 Kyivstar mobile operator plans to launch 4G communications in the 2600 MHz range by April 10 of this year, company president Peter Chernyshov has said. “Friends, you know that Kyivstar is a law-abiding company. We are waiting for all the necessary permits and conducting additional network settings in connection with the new requirements of controlling state bodies. All is made in order to launch high-quality 4G from Kyivstar. It is important for us that our subscribers get a positive experience of using the service. Quickly does not always mean qualitatively. We plan to launch 4G by April 10,” he wrote on his Facebook page. As reported, Vodafone Ukraine mobile operator plans from March 30 to April 2 to launch 4G communications in the 2600 MHz band in 20 cities of Ukraine. Budecoservice LLC (Kyiv), the owner of the New Way shopping center located at 1, Verbytskoho Street in Kyiv plans to build a new shopping mall in the Troyeschyna district on the site where the Sirius shopping center at 21, Draisera Street is located now before the third quarter of 2019. An Interfax-Ukraine correspondent has reported that the project of the New Ray shopping center is presented at the Retail&Development Business Expo 2018 held in Kyiv on March 29 through March 30. According to the project gross building area (GBA) will be 41,500 square meters, and gross lettable area (GLA) will be 34,500 square meters. The center will have five levels, including a cinema with six screens, an entertainment zone and a supermarket. 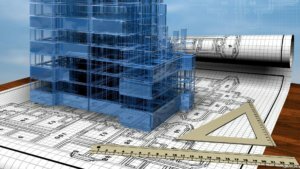 The company told Interfax-Ukraine that soon the reconstruction of the building of the Sirius shopping center will start. The new shopping center will have a parking area for 500 cars. The company is holding talks with potential leasers of the New Ray center.